Nixon Motor Sports: Build Lewis Hamilton's World Champion Mercedes F1 Car! Build Lewis Hamilton's World Champion Mercedes F1 Car! 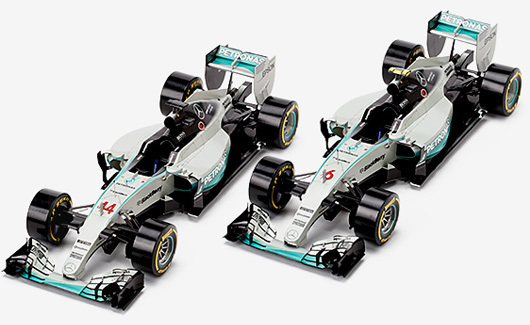 Build your own paper model world champ Mercedes F1 car! Congratulations to the Mercedes Petronas Formula 1 team for winning both the Constructors and the Drivers championships this year! One of the team sponsors, Epson, has a cool little paper model of both champion Lewis Hamilton (car number 44) and Nico Rosberg's (car number 6) winning cars which you can build yourself! Check out the following link, and then look for the link to the instructions and pages of parts you can cut out and build your own winner! While Lewis is now a three time champion, Nico won the race in Mexico yesterday, so congrats to him for his fourth victory of the year.